This week on Superstore, Cloud 9 is hosting a bunch of local vendors, which includes Glenn's wife Jerusha, and a woman that Garrett is interested in. The episode begins with Glenn telling everyone about his wife Jerusha's needlepoint, and the two of them pretend that they don't know each other, which leads to a hilarious moment where the employees say that Glenn and his wife are in an open relationship to mess with him. 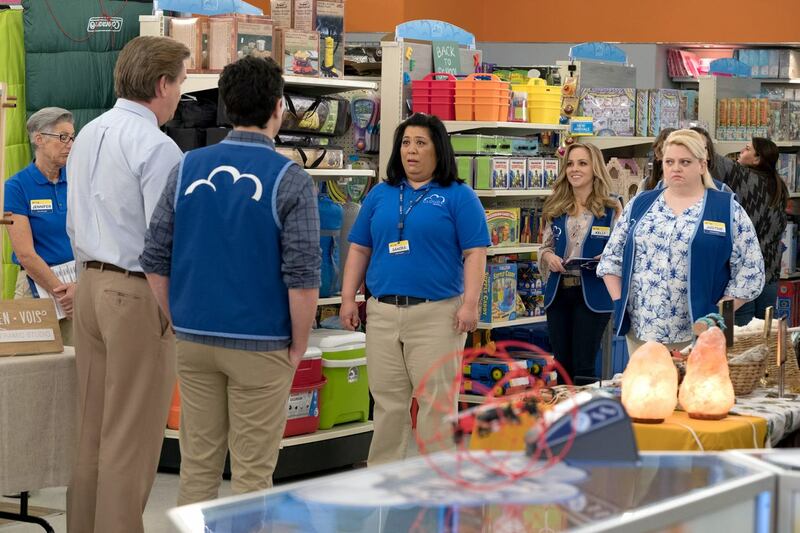 Glenn pressures the employees into buying things from Jerusha, and when Jonah mentions this to him he has a very funny line, saying "I think if I was doing something subconsciously, I'd know it." Glenn turns his pressure to others, and there's a funny moment where he gives someone two hundred dollars to buy things from Jerusha, but he goes to the wrong stand. In the end, Glenn pressures the employees once again, causing Jerusha to sell out. I get Glenn supporting his wife, but the lengths he goes to here seem unrealistically far. After realizing that she isn't that Latina when it's pointed out by the beverage guy, that's Latino, she is seeing, Amy tries to prove that she is Latina. She ends up talking in Spanish to him, but she doesn't know that much Spanish, and when he talks quickly, she doesn't know what she has agreed to. She goes to others to try to figure it out, and their suggestions are pretty funny. The most annoying part of this story though is Jonah's reaction when he discovers that Amy is seeing someone. Eventually Amy admits that she doesn't know what she agreed to, but continues to pretend she knew the rest of what he was talking about. Garrett takes an interest in one of the local vendors, a woman selling craft beer. However, after tasting a sample of the beer, he is convinced that it is Bud Light, which she insists it isn't. This goes on for a while, until she eventually admits that it is. This is a mildly enjoyable story, but it didn't really have much to it. None of the stories this week were all that good, but they weren't bad either. This was a pretty good episode, but really nothing special. What did you think of "Local Vendors Day"? Leave your thoughts in the comments!